A co-working space in the heart of New Haven, created for a new generation, designed to build your network. Rent permanent offices, use the boardroom, collaborate in the co-working space, and take advantage of the perks. Join our network today! Located in the heart of New Haven at the corner of Crown and Temple in the Olympia Building, Net.Work allows you to connect with the community right in the heart of it. Utilize the close proximity to higher education, thriving businesses, consumers, and bright eager minds to expand and integrate your network into Elm city and far beyond. 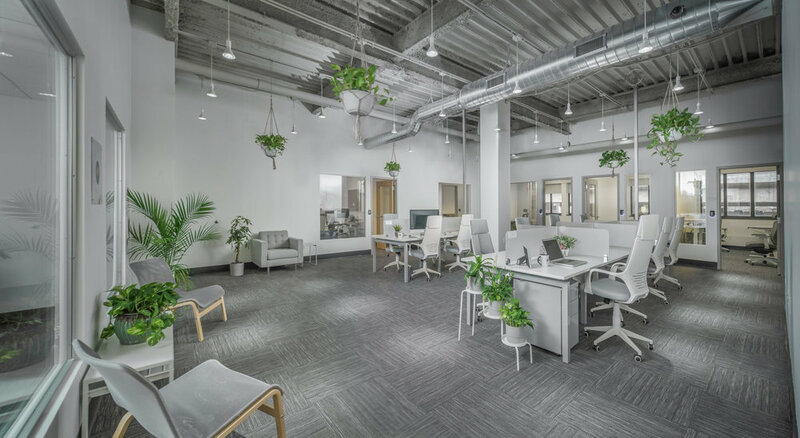 Net.Work is a fully serviced, open office space, built in the spirit of collaboration, and designed with the latest in health productivity technology to optimize your business's workplace environment.